Carlo Di Lanno is assertive and elegant as Siegfried in Helgi Tomasson's Swan Lake. Partnered with principal dancer Sofiane Sylve in the dual roles of Odette/Odeil, the pair embodies the fervent intensity and mystical élan that is at the heart of Tchaikovsky's most cherished ballet. Before joining SF Ballet as principal dancer in 2008, Sofiane was acclaimed for her interpretations in Peter Martins' two-act / adrenaline-busting version at New York City Ballet. Carlo Di Lanno was twenty when he made his debut as Siegfried in the Rudolf Nureyev version at La Scala Ballet. "It was my first principal role there," said Carlo. "I was just coming out of the corps and it was the first thing they gave me. The Nureyev version is very demanding for the prince - five variations, more than any other traditional version. There is one after the White Swan pas de deux - that nobody does - and a variation during and after the waltz. Nureyev's variations are harder than those in the original version, but similar to what we have here." 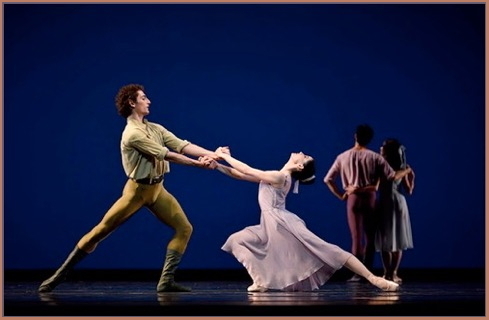 Carlo Di Lanno made his debut with SF Ballet in 2014. 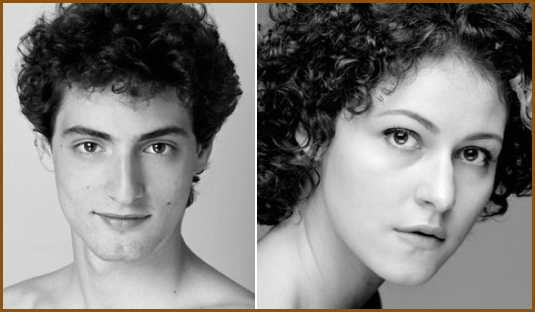 He has appeared as Romeo in Tomasson's celebrated classic and as Espada in the Tomasson/Possokhov Don Quixote. His contemporary repertoire has been expanded with appearances in works by George Balanchine, William Forsythe, Alexei Ratmansky, Jerome Robbins, and by the Company's own rising choreographer, Myles Thatcher. At the recent Gala Premiere, Carlo and Sofiane danced a pas de deux in the North American premiere of Forsythe's Pas/Parts. The entire work was part of Program 1 and the pair repeated the duet in the opening night performance. The simplicity of the production (Forsythe also created the scenic and lighting designs) and the unyielding pace of the score by Thom Willems compels the viewer to focus on the geometrics of the choreography and the fortitude of the ensemble. I asked Carlo if he has the same kind of enthusiasm for today's abstract works as he does for the full-length classics? "I have to say that before I joined here, I was a really big fan of classical ballet, the story ballets. It's really what I wanted to do. But since I've been here, I really appreciate the new works, the new choreographies, and the opportunity to work with the choreographers. It's not about the scenery behind you or any projection. It's really about the dancers. Tights, t-shirts, no structure - it's just you, moving. That is what the audience should be liking. In a way, as an art institution - as Ballet - we are about education. I think Pas/Parts is a great thing for the audience. I listened to a lot of opinions about it. It is hard to like. Not everybody has the instruments to like it. But, it's what we should do." "Overall, the Prince in Swan Lake is not really about interpretation. At the beginning, it's really about learning the choreography so you don't fall down. Once you have that, you can play with the role - with what you want to say. There's a whole variation in the first act about what's going on with him, what he's going through. He knows the Queen is about to enter and will tell him it's time to get married. Siegfried does not want to get married, because there is no one he loves at that point. The variation is very dramatic and lyrical, you can see what he is thinking. It's one of the best moments in the ballet. It's great to be able to express a state of mind through the steps. It's basically a monologue with the audience. Hopefully, you are making them understand what you are thinking at the moment. And at the same time trying to nail your pirouette. That's why you really need to have the steps under your belt. Otherwise, there cannot be a character." Carlo's arrival at San Francisco Ballet is an adventure - something of an odyssey - that involves elements of destiny, self-determination and contractual oddities that most young American ballet students will never confront. A native of Naples, Carlos had his first ballet class when he was nine. His parents had a shop that was close to a ballet school. "Because we were friends with the family that owned the school, we went to watch the final performance of the year. My parents always told me I was mesmerized by that performance. Ballet never felt like something I didn't want to do. It was always natural and, in a way, kind of easy for me. When I graduated I went on to another school, to La Scala. It was a big change. Here, if your school is related to a company such as San Francisco Ballet, the Director will let you know whether you are hired or that you need to find another job. In Italy and in Europe overall, it's different. We had to audition for the company just like everybody else. But at the same time, we wanted to audition all around Europe. I went to the La Scala audition, also Zurich and Vienna. I was offered contracts everywhere and had to choose. I picked La Scala - basically because it was attached to the school and the Director told me he had some projects for me and wanted me to dance more. After one season, I decided to leave because I did not like the environment and the fact that I wasn't dancing enough. So, I went to Berlin. After one season there, I was promoted to Soloist. Then the Director from La Scala calls, saying he wanted me for Diamonds, Siegfried in Swan Lake, Basilio in Don Quixote. So, I went back and danced the roles. But La Scala is a hard place - in the sense that there are people with a lot of rights and people with no rights. Unfortunately, even though I was covering the big roles and had a lot of responsibility, I was one of those with no rights." "The way it works is that if you have a life contract you get to work until you're forty-five. After that, you get your retirement straight away. I don't know the exact number of contracts available to the corps, the soloists and the principals. But, if all the places are covered, nobody from the supplemental corps can get one of those life contracts. I was one of the supplemental corps. That means I had a two-month contract, then three months, then five months. I was working the whole season and getting my salary every month - but I couldn't get a life contract. That became a problem. With a supplemental contract, if you get injured - for example, within your two months - once those two months are over, you are not paid anymore, you are not covered. With a life contract, you are paid through the whole season. What was a great opportunity at the beginning - to be dancing those roles - started to become a responsibility. I'm the one dancing the Prince. I needed to have a proper contract and with a category, such as Soloist, Principal. Fine that it was a great opportunity, that I was getting all this experience, but - so what?" Carlo sent a video to a number of companies showing his work in Swan Lake and Diamonds as well as a sample from Ratmansky's Concerto DSCH. A very smart move. The result was a few offers. He was really interested in San Francisco Ballet - because of its repertory. "I think it was good for Helgi to see not only the classical rep, but something modern also. La Scala does not do a lot of contemporary works. Jerome Robbins' Dances at a Gathering was one of my dreams. I saw it when I was in Europe, when I was a kid in school. There aren't many European companies that do this ballet. I also want to do his In the Night. Robbins is not an easy choreographer and the Trust does not give the rights to many companies. I think San Francisco Ballet was looking for a tall dancer. I'm 6'1. So, I came here to audition. After the class, I was offered a Soloist contract. That is why I am here."